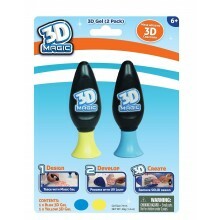 Draw in 3D and create amazing multi-colour 3D masterpieces! 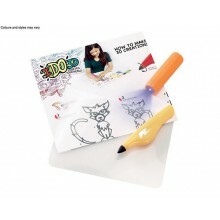 Draw, set and connect using the vertical spotlight included, you can even draw in the air! Design like a pro with the 3D templates and accessories included, or let your imagination run free! 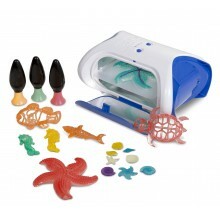 This kit makes up to 40 unique 3D projects and includes 8 coloured IDO3D pens! Requires 3 x LR44/AG13 batteries (included). Draw in 3D and create amazing multi-colour 3D masterpieces! Draw, set and connect using the vertical spotlight included, you can even draw in the air! Design like a pro with the 3D templates and accessories included, or let your imagination run free! This kit makes up to 5 unique 3D projects! Requires 3 x LR44/AG13 batteries (included). 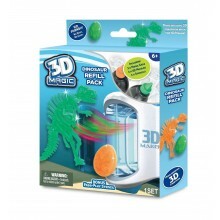 Draw in 3D and create amazing multi-colour 3D masterpieces! 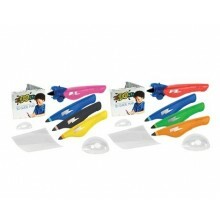 Draw, set and connect using the UV light included, you can even draw in the air.